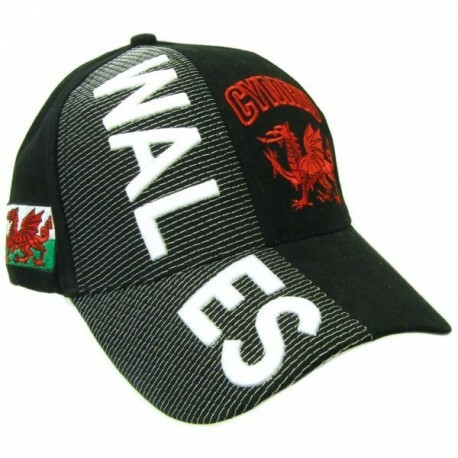 Black cotton baseball cap with 3D embroidered WALES name running down the right face and peak. 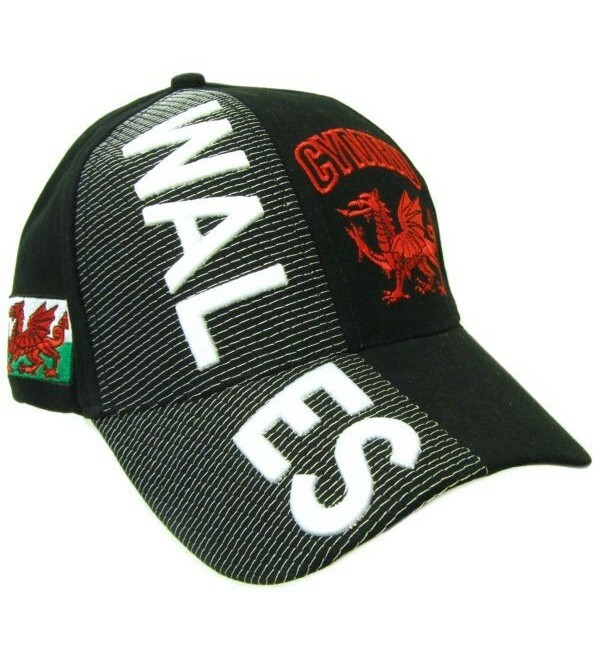 Black cotton baseball cap with 3D embroidered WALES name running down the right face and peak. Also features embroidered Welsh Dragon and CYRMU (Welsh name for Wales), Wales flag and name on adjustment strap. Adjustable. One size fits most adults.